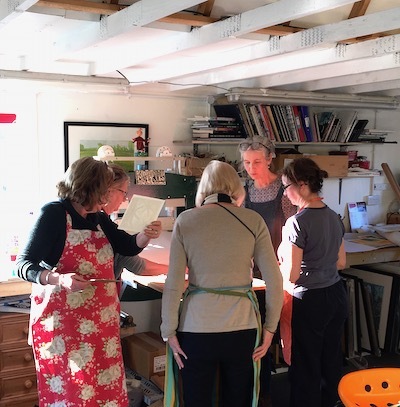 I run all my classes from a large well-equipped studio overlooking fields in the lovely peaceful village of Radley, Oxfordshire. You can enjoy a day or two of calm, absorbing creativity, learning a skill, meeting new people and enjoying good food. Many students comment that they forget the 'real world' while they are here. 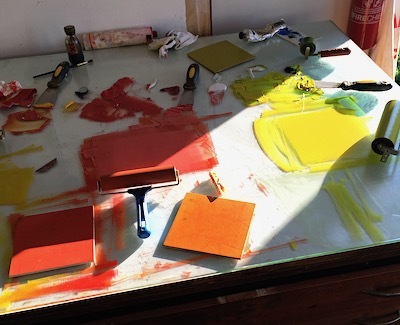 I hope you can join me to learn more about the fascinating, colourful world of printmaking. All workshops are suitable for complete beginners as well as those with some experience. Each workshop has a maximum of 6 students, so you will receive plenty of tuition to suit your experience. 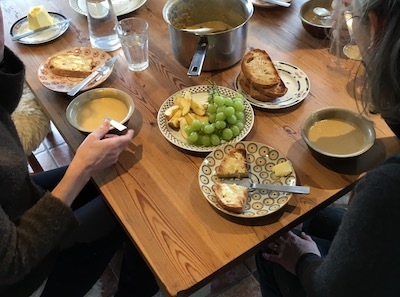 * The cost of each course includes all materials, lunch, tea/coffee and home-made cake.